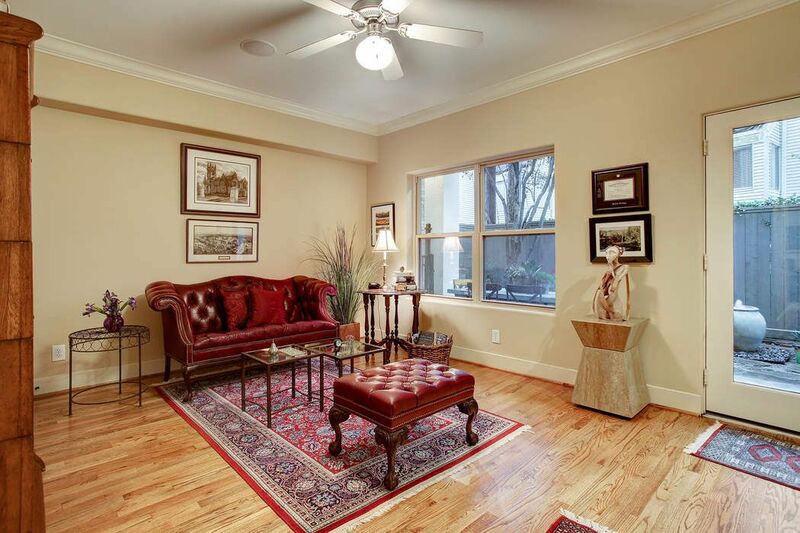 6310 Taggart Street Unit B, Houston, TX 77007 | Martha Turner Sotheby's International Realty, Inc. This photo highlights the detail of the gas log fireplace in addition to the adjacency of the dining room and kitchen beyond. There is plenty of wall space to hang art too! This alternate view of the living room features the bay window with Camp Logan Park views beyond! 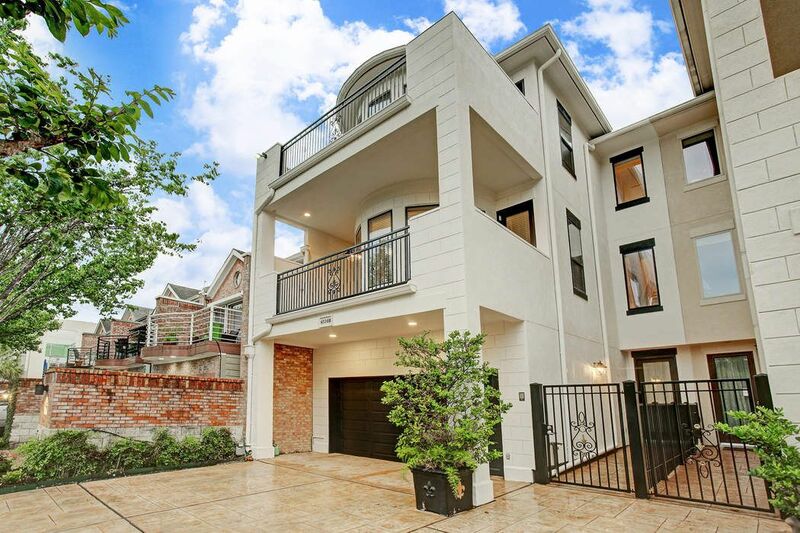 A close up of the spacious covered balcony off the living room is accessed through the door on the right. 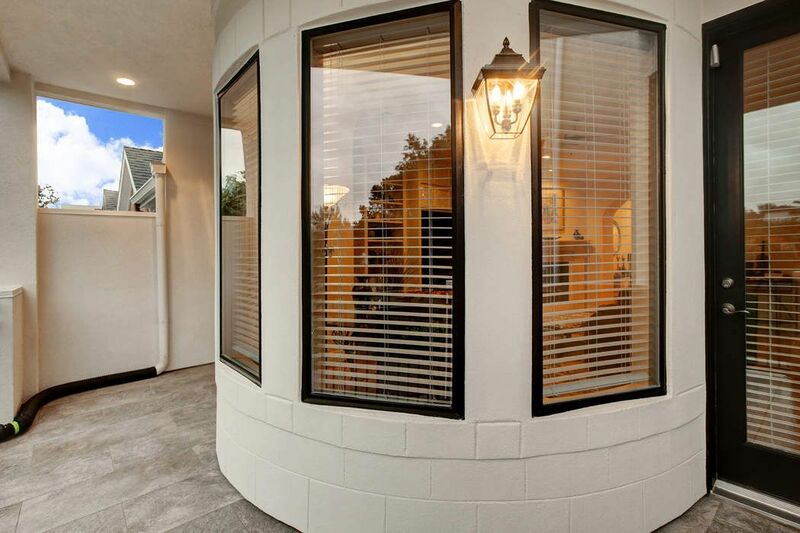 The exterior is pristine with a fresh coat of paint and new porcelain tile! 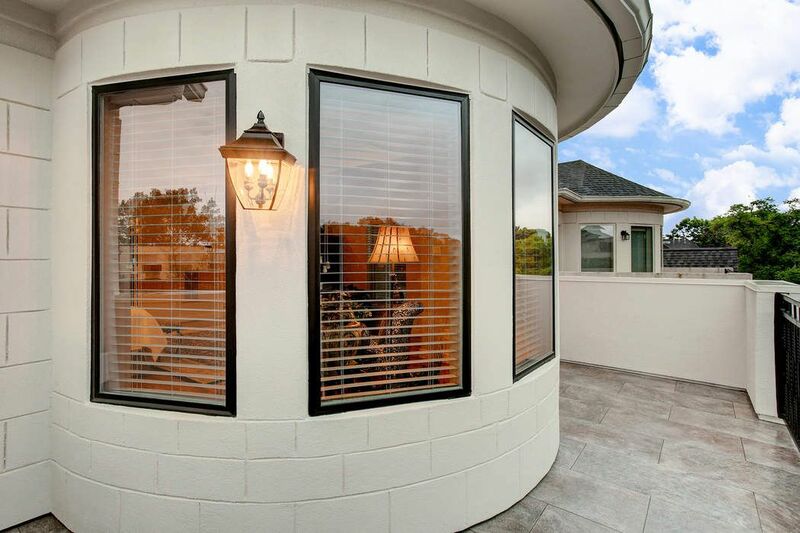 This alternate view of the covered balcony highlights the 360 degree Camp Logan Park views! Sit and relax with Mother Nature while enjoying your favorite beverage of choice! 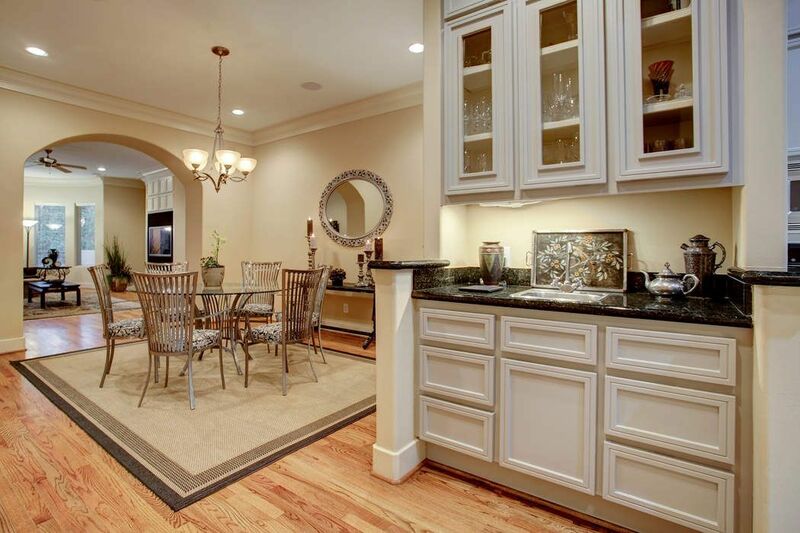 The Dining Room (16 x 13) accommodates a large table and buffet. 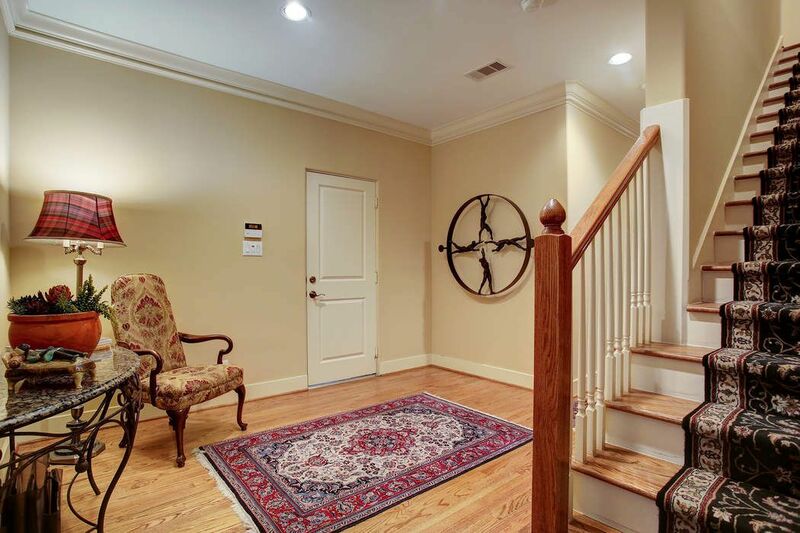 Note the terrific wall space throughout for highlighting art and the beautiful hardwood floors! 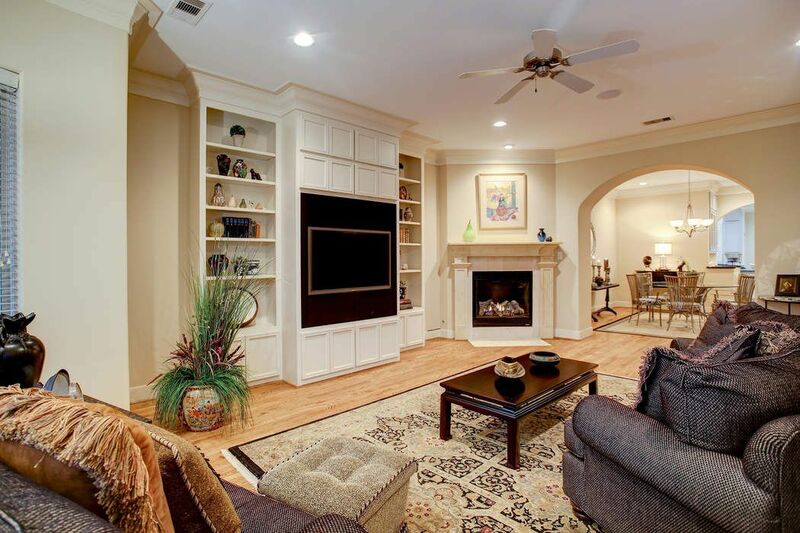 The home offers surround sound too! Yes! There's an elevator to all three floors! 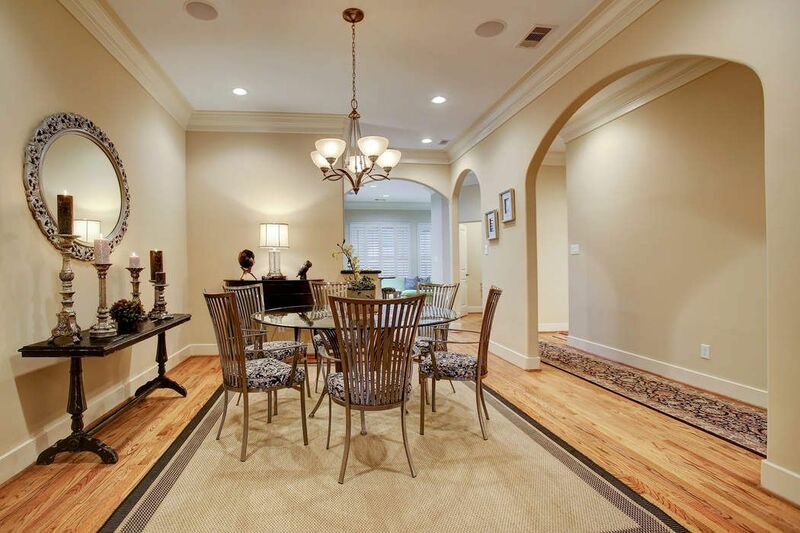 This photo showcases the Wet Bar and it's adjacency to the spacious dining room and living room just beyond the high archway. 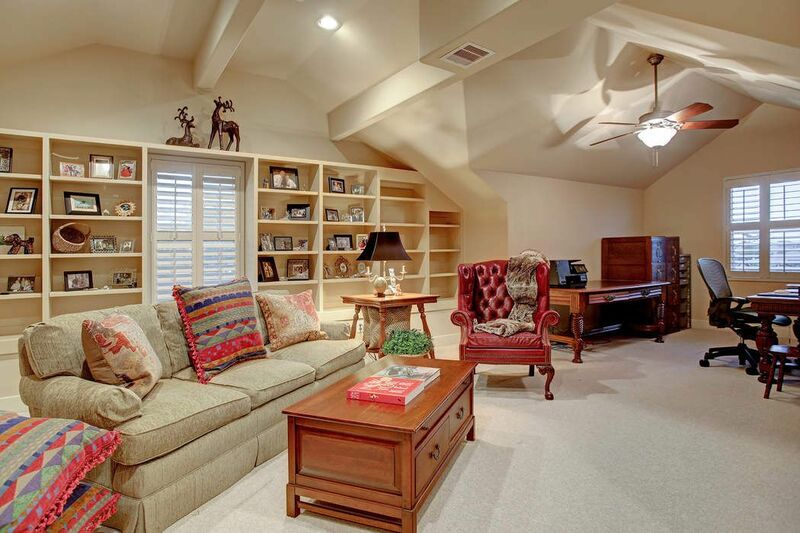 The home offers terrific storage throughout too! 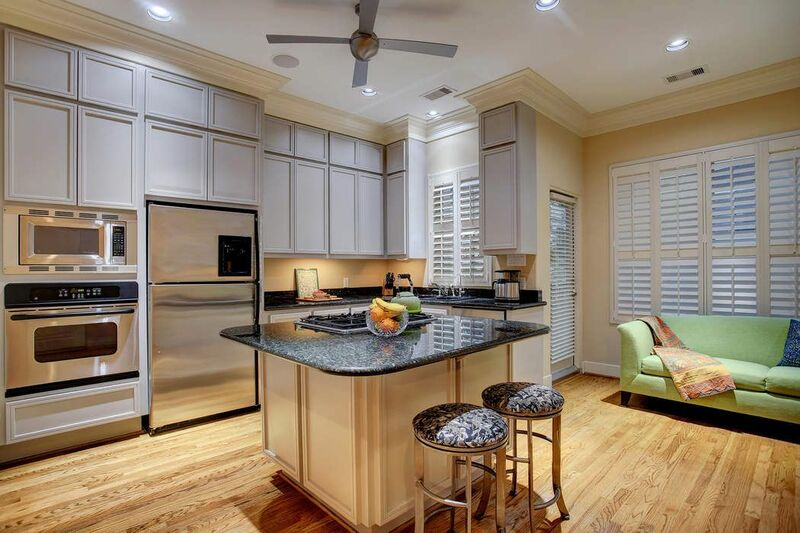 Alternate photo of the kitchen breakfast or sitting area highlights the generous storage available for all your cooking and dining supplies! 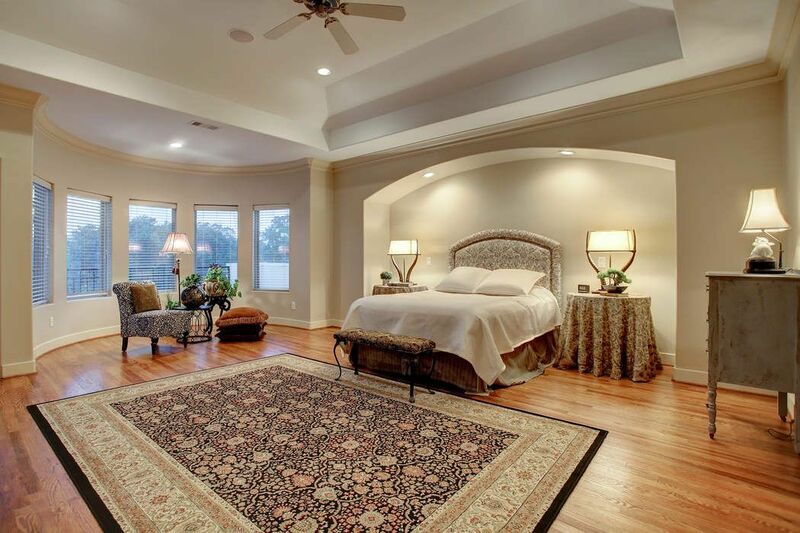 The master bedroom (24 x 18) is located on the third floor and features a coffered ceiling, an arched wall with recessed lights to read by, hardwood floors, crown molding, bay windows and access to its own balcony (not shown) with park views. 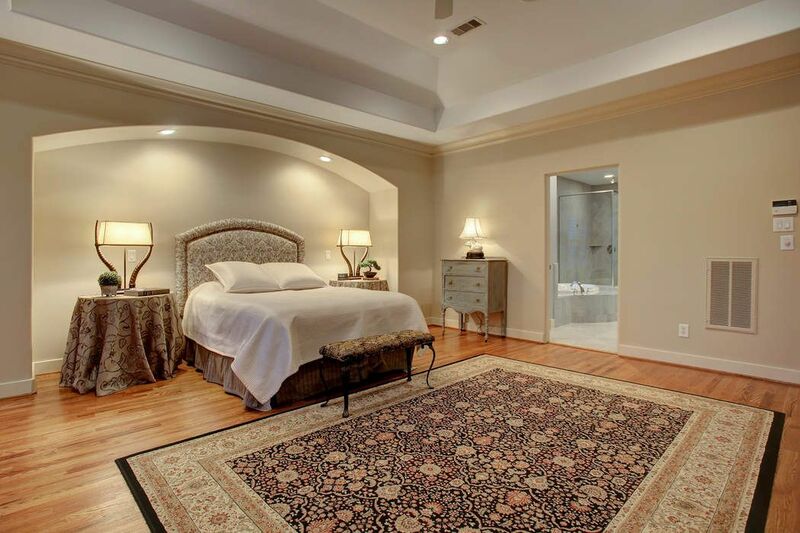 Alternate view of the Master bedroom showcases the spaciousness of the room and entry into the handsome master bath on the right. 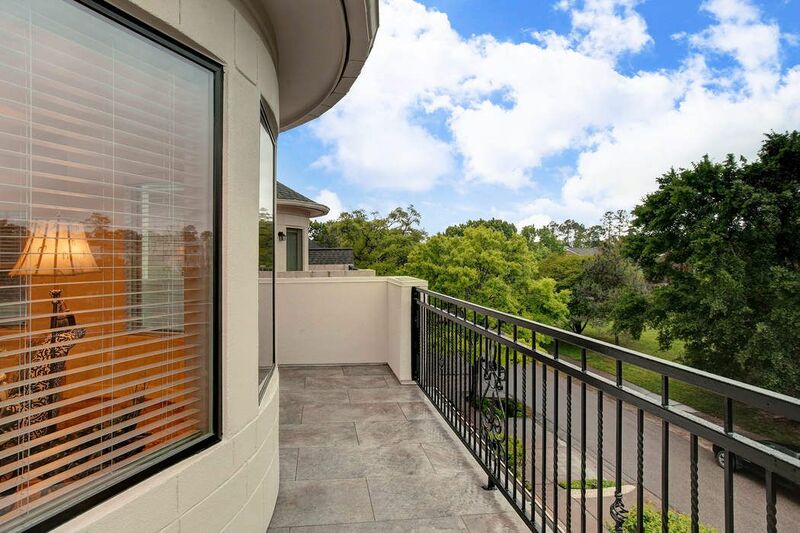 This is a close up photo of the spacious balcony off the Master bedroom. 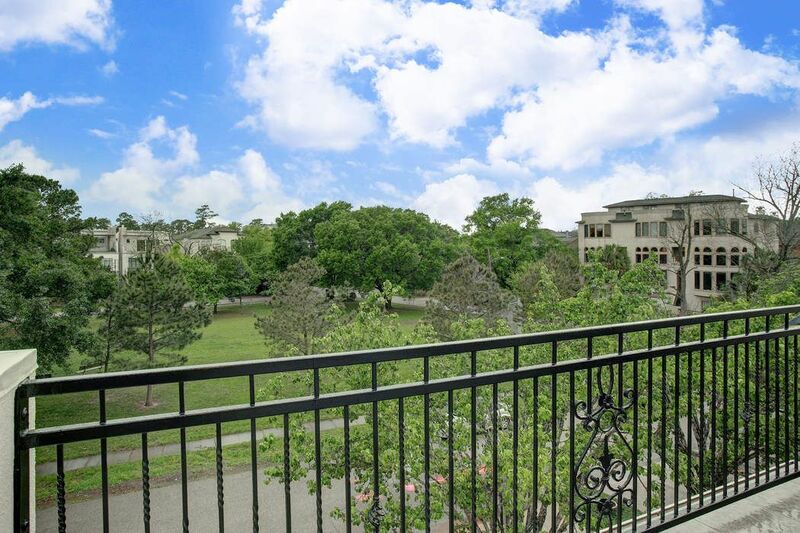 View from the Master bedroom balcony on a beautiful Spring day! View of Camp Logan Park from the Master bedroom balcony on a gorgeous Spring day! 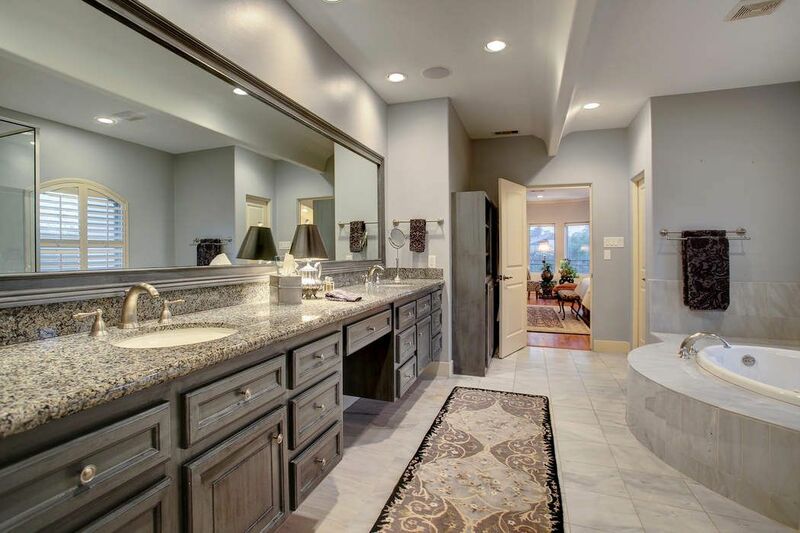 Alternate view of the master bath. 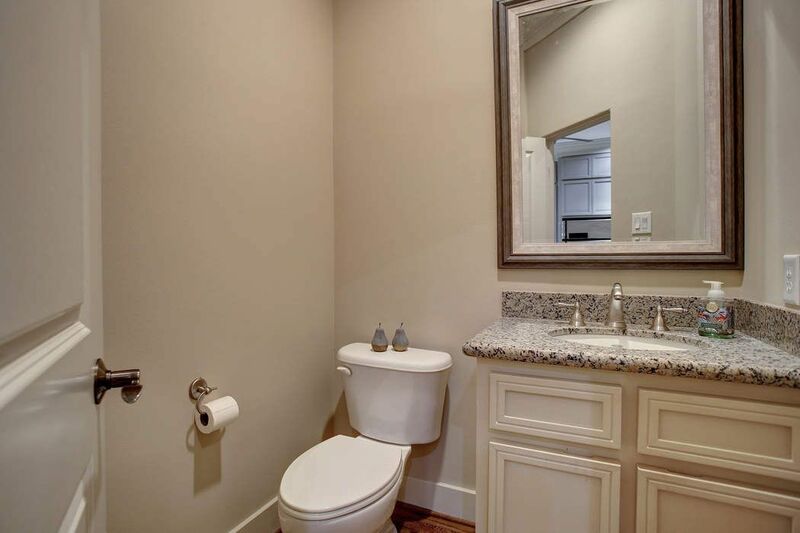 Note the terrific storage for each vanity. 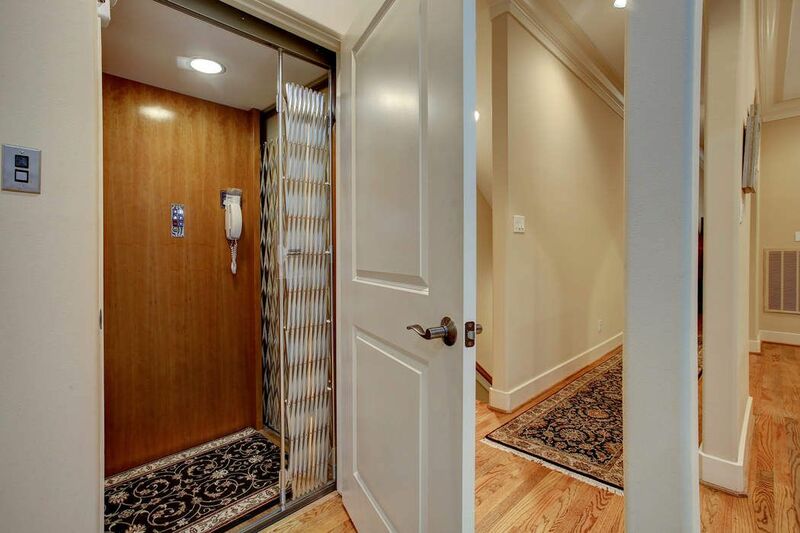 The ample walk-in closet is located behind the closed double doors. 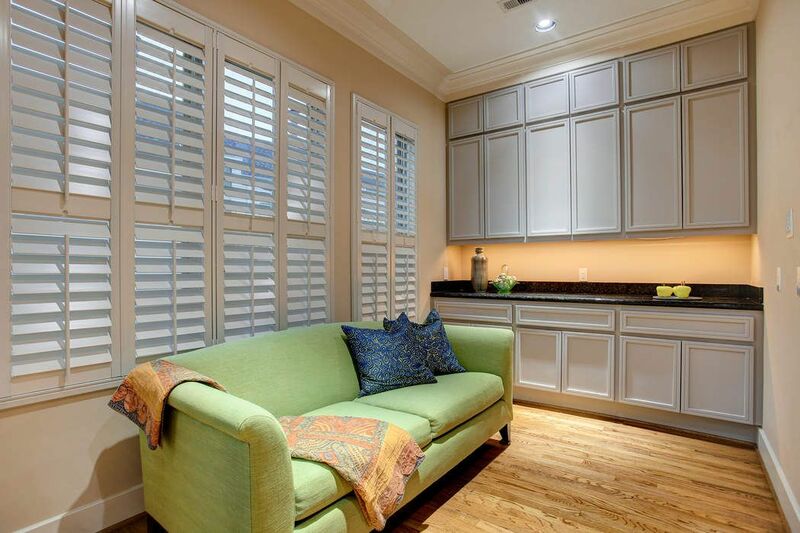 Note the beautiful plantation shutters over the jetted tub. The Gameroom (29 x 16) currently serves as a den and office area. 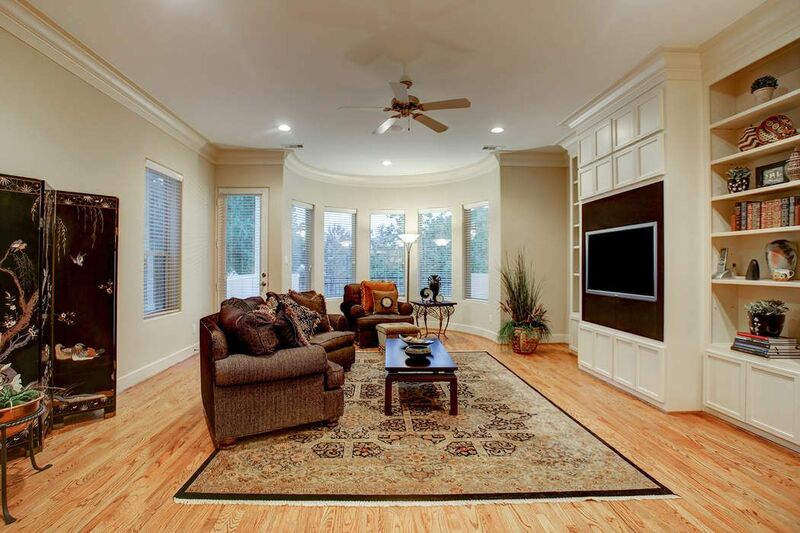 The custom cabinetry with numerous shelves provides a means to showcase family pictures, memorabilia and collectibles. 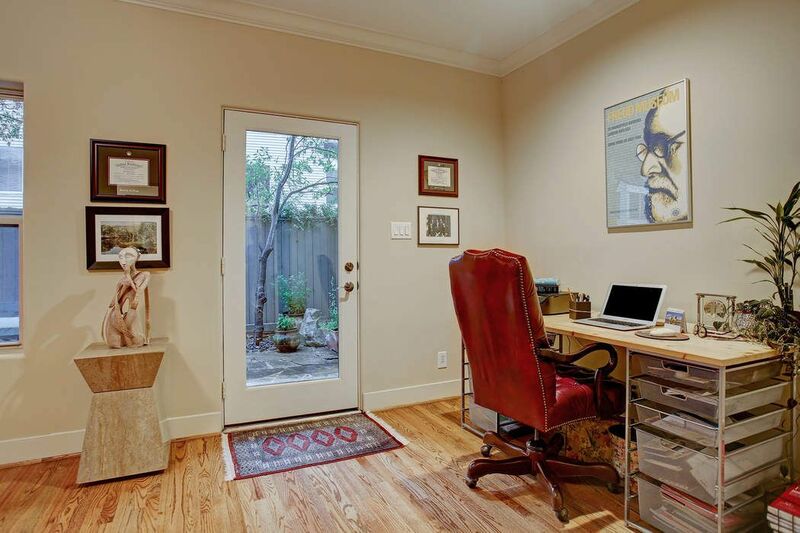 Note the office niche on the right. Alternate view of the gameroom taken from the office side of the room highlights the terrific storage the built-in shelving provides. Secondary Bedroom (13 x 11) located on the third floor currently serves as a guest bedroom. 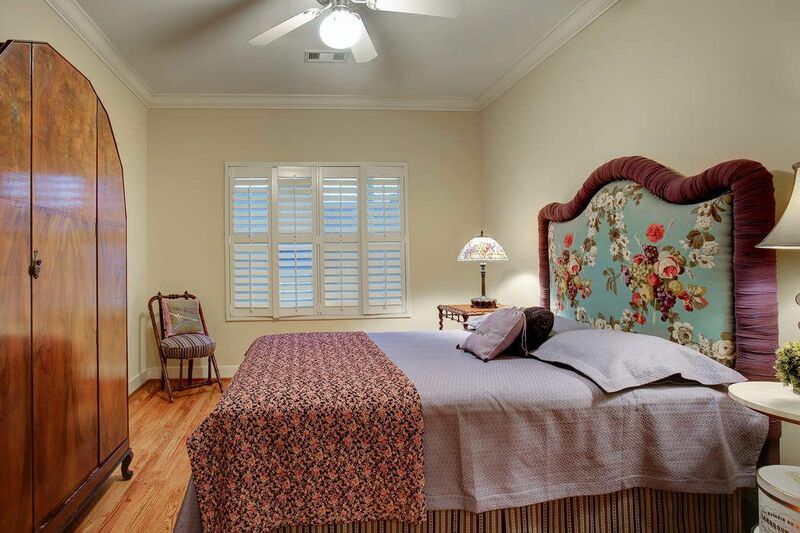 Amenities include ceiling fan with light kit, crown molding, neutral wall coverings, plantation shutters, hardwoods and en-suite bath. 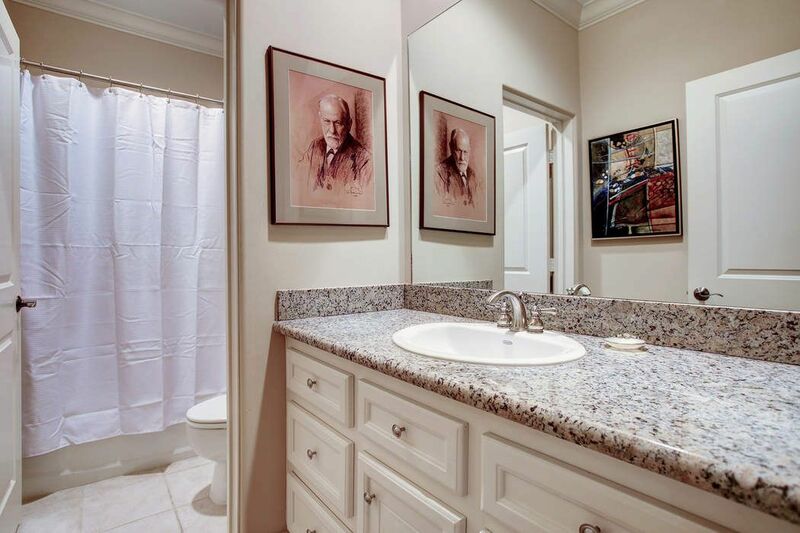 Secondary Bath features a generous vanity with granite counters, neutral wall covering, neutral tile floors, window with plantation shutter and tub/shower combo with tile surround. Secondary Bedroom (19 x 12) located on the first floor features hardwoods, ceiling fan with light kit, crown molding, neutral wall covering and en-suite bath. This room currently functions as an office. Alternate view of the secondary bedroom features a niche space for a desk and access to the back patio through the glass door. 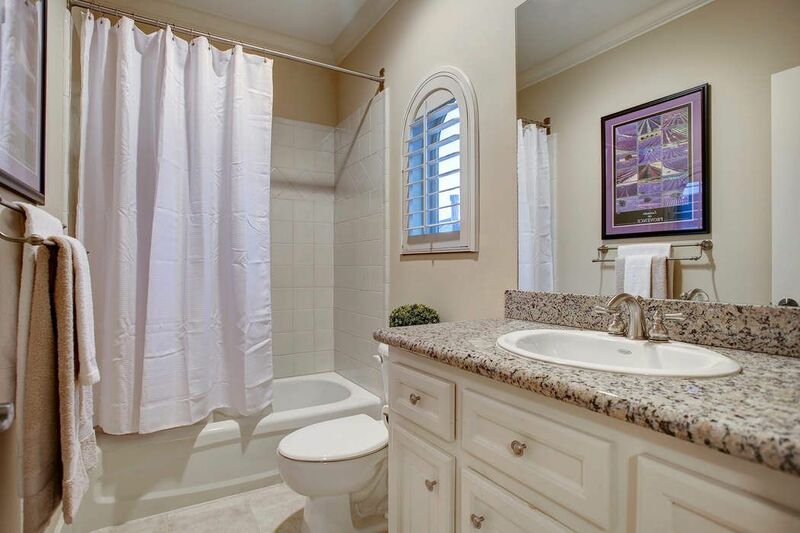 Secondary Bathroom located on the first floor offers a spacious vanity with granite counters, neutral wall coverings and tub/shower combo with neutral tile surround. 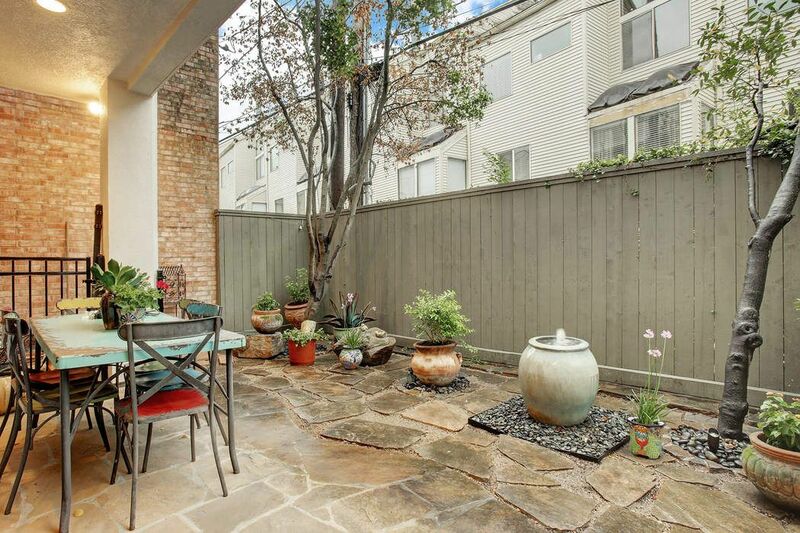 The back yard offers a covered flagstone patio and drip system for in-ground and potted plants. A very low maintenance yard! Note the water fountain conveys with the home. 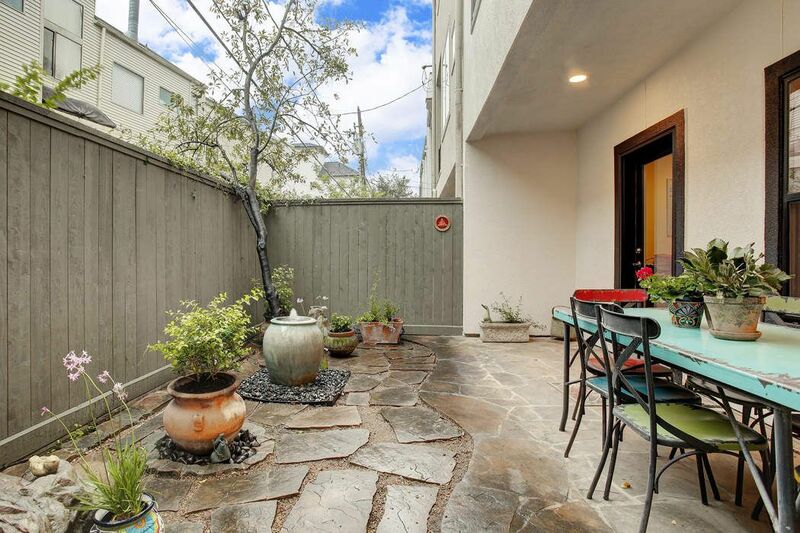 Alternate view of the easy to maintain back yard! 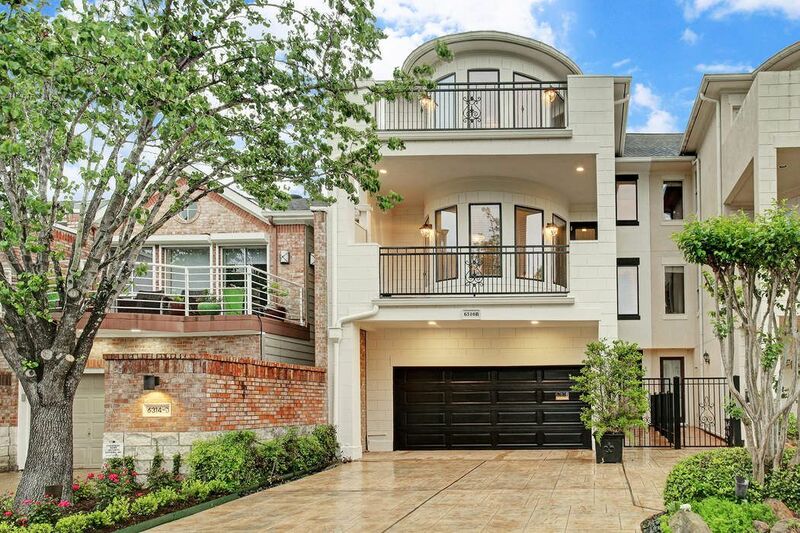 $879,000 3 Bedrooms3 Full / 1 Partial Baths3,809 sq. 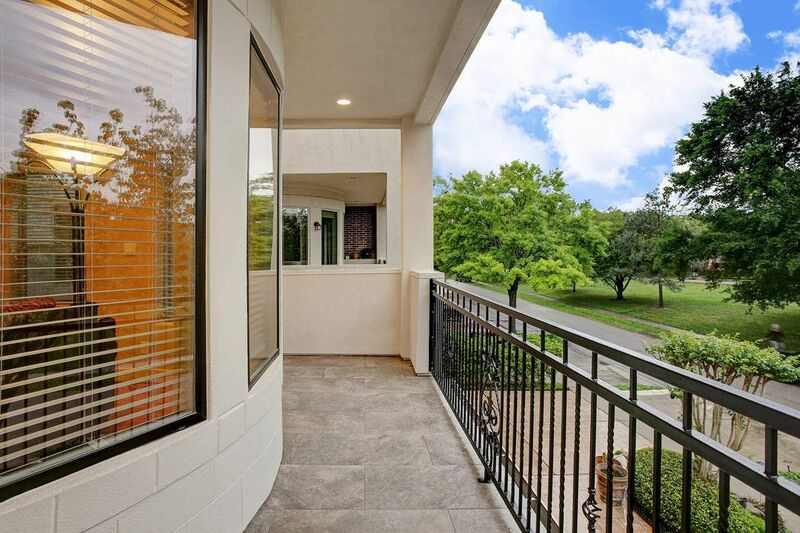 ft.
One of Camp Logan's most desirable residences, this rare three and a half - story custom townhome showcases beautiful architectural design and 360-degree views of Camp Logan Park spanning sunrise to sunset. 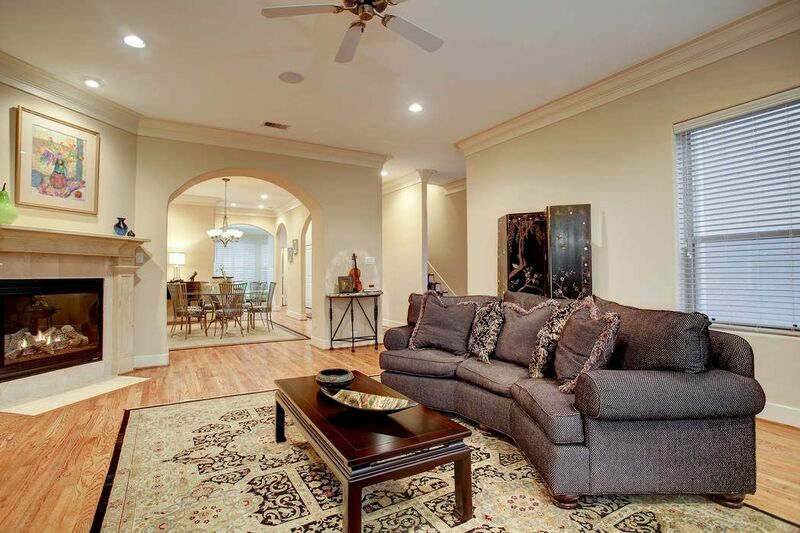 Sophisticated and elegant, the townhome features a spacious open floor design with a gas log fireplace, elevator installed, built-in custom cabinetry, hardwoods and ample sized balconies with park views. 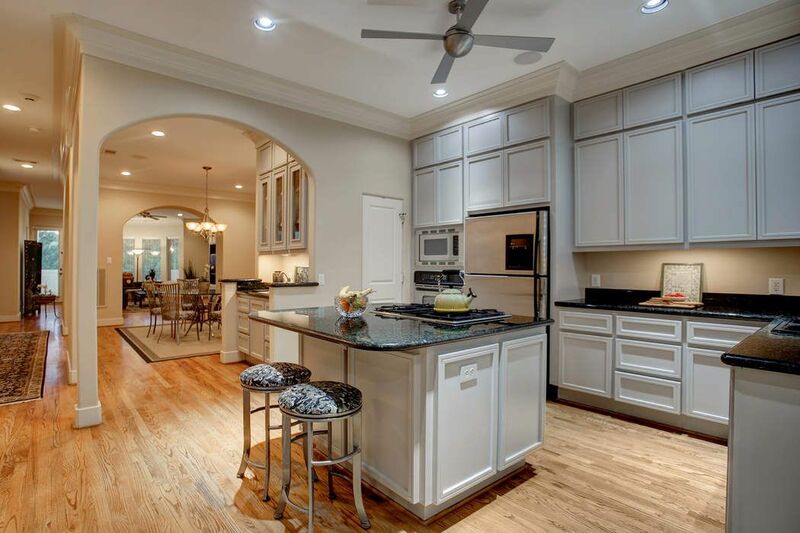 The Island Kitchen with breakfast area, Pantry, Wet Bar and Powder Bath complete the Entertaining Level. 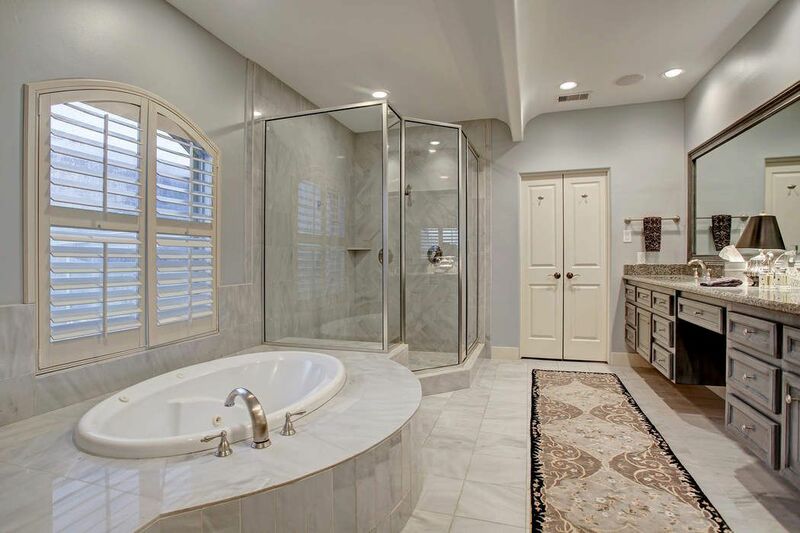 The generous Master Suite includes a spa-inspired Bath with marble tiled floors, jetted tub and shower surround. Secondary bedrooms feature hardwoods and en-suite baths. 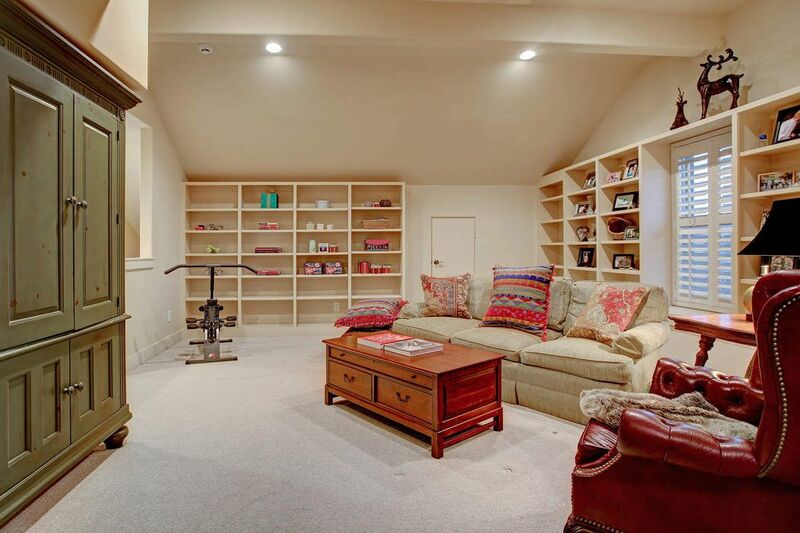 A generous sized game room completes the interior package! Original three car tandem garage has been modified adding an 18 x 10 air conditioned room with unlimited uses or could be converted back. 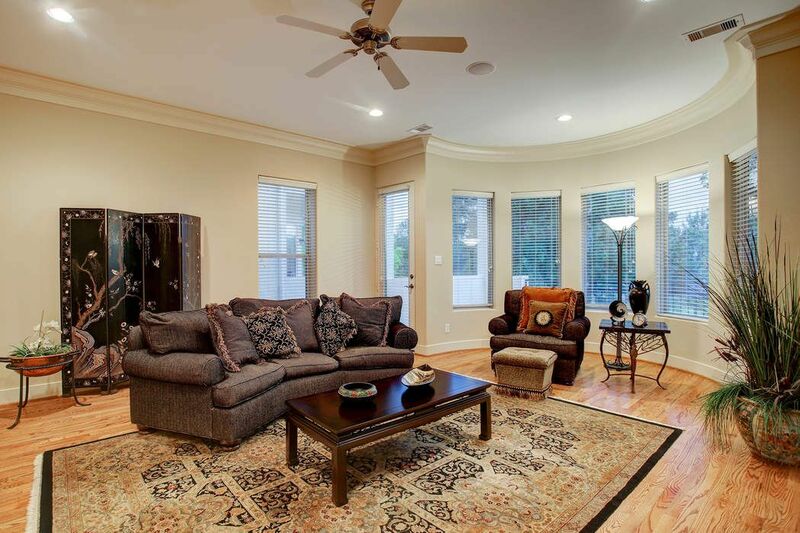 Water softener system, recent A/C and pet friendly back yard rounds out the total package! Don't Miss!